continues to explode in popularity all across the world. With the ever increasing popularity of the sport, the demand for quality BJJ gear like gi’s and rash-guards continues to grow as well. 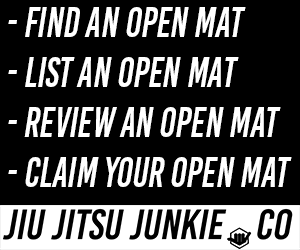 More people on the mats mean more people looking for high-quality gi’s that can withstand the harsh rigours of BJJ as well looking good too. And not just looking good, but looking different. Personal. Unique. One such company that has sprung up to combat this unceasing demand is Hypnotik. This company pride themselves on making top quality gear, not stuff that’s going to fall apart with minimal use. The first thing they do when creating a product is to make sure it’s tough and durable. Once this quality is guaranteed, they begin to add their own quirky, aesthetic touches to the look of the gi. This is where they really begin to shine. Their fun and flashy designs really catch the eye and make the wearer stand out on the mats. When you have to wear a uniform to train, it’s nice to have your own unique touches to your clothing to make sure you express yourself as an individual. With their forward thinking designs, Hypnotik have caught the eyes of forward thinking BJJ systems such as 10th Planet Jiu-Jitsu and sponsor many athletes from 10th Planet, and beyond. They sponsor 10th Planet athletes such as Curtis Hembroff, Omar Ocasio, Rey de Leon and too many more to mention. They also sponsor MMA fighters and UFC fighters such as former UFC title contender Liz Carmouche and UFC veteran Anthony Birchak. All athletes that can pick and choose from a long list of endorsements and have chosen to go with Hypnotik. The Standard gi from Hypnotik is their flagship entry level model but it’s far more than just your typical basic, budget gi. Just from looks alone, it looks more sleek and stylish than many of the premium models churned out by other companies. It is 95% pre-shrunk which takes out the bulk of the guesswork when choosing sizes and seeing how much/how little they’ll shrink when washed. 90%+ pre-shrinking is normally reserved for the higher end models with most basic, cheaper gi’s shrinking heavily with the first few washes. The jacket is a 550 GSM high tech pearl weave, which again, is exceedingly rare to have on a budget item. The level of quality of the pants match the jacket, with a 360 GSM twill cotton being used in the construction. If the GSM numbers and the pearl weave mean nothing to you, just know that this means that both comfort and substance have been accounted for in the construction, the best of both worlds. Unlike some of there more out-there Gi’s, the standard is, as it’s name suggests, fairly standard. Which is great for those that don’t want anything to loud or garish but still want a gi that looks fantastic. Especially important for newbie trainers who might not want to attract any unwanted attention to themselves with over-the-top styles and colours. Compared with most budget, entry-level gi’s, the competition style gi’s feature various differences. The main one being the cut and fit of the gi itself. Competition gi’s, like this ProMax 500 Gi, feature a more tailored and tapered fit, hugging close to the body with little slack. The pant legs are generally shorter and more form-fitting and the arm sleeves in particular will be a lot more compact. BJJ is a game of grips, the less material you have for your opponent to grab, the better. With the ProMax 500 you can expect all of the above features, whilst still remaining IBJJF legal. I.e. the pants and shorts are shorter but not so short that you’ll be disqualified before you even step foot on the mats. Competition gi’s are also often lighter as well, as you have to weigh in whilst wearing the gi in many competitions. The razor-thin increase, or decrease, in ounces can make all the difference. You generally want your gear to be as light as possible so you don’t have to fight as the absolute smallest in a higher weight class. It’s available in white, blue and black as well as running the full gamut of adult sizes. These three colours should be fine for use in all levels of competition though do be aware that some competitions/gyms require the student to wear either white or blue. Some traditional gyms even forbid any gi except from white. Hypnotik have a lot of gi’s for sale. Many of these gi’s have flashy designs and many of them are what you would consider premium level gi’s. These premium gi’s usually tend to justify the increase in price by making the gi’s as comfortable to wear as possible. You can expect a quality premium gi to be extremely durable and to hold it’s shape and condition better too. But out of all the incredible gi’s that Hypnotik produce, the Project 001 Interstellar is arguably their most ambitious. If you really want a gi that’s going to turn heads and earn your compliments for your style, then the Interstellar Gi is the one for you. Available in two options of either white or black, both models feature the interstellar/space colours and motif along the lapels, trims and inside of the jacket. The interstellar colours/style is also seen across the arms, along with the Hypnotik brand/logo. If you get this gi, you’ll no doubt be the only in your class with it. It’s absolutely beautiful, it’s incredibly stunning and it’s unlike any other gi on the market. The only other top company that is producing wildly ambitious aesthetics like this is maybe Scramble, but even this gi blows them out of the water. 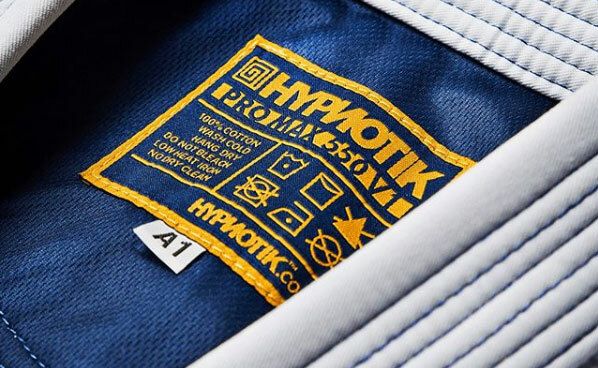 As with many of their styles, Hypnotik are selling this gi for a limited time only. Once they’ve sold out, they’ve sold out for good, so if this gi really tickles your fancy, then don’t hesitate in snapping it up.